Tiles provide one of the most durable and beautiful roofing solutions in the market. The only challenge with tiles is that they are heavy and expensive. However, it’s obvious to expect this from a roofing material that will last you for over 100 years. Manufacturers made traditional tiles from fired clay and slate. However, we have more modern options that come from concrete. There are various shapes of type roofs such as interlocking, fluted, flat, and curved. Tile roofs are an excellent alternative for exposure to salt air and hot weather. No wonder you will find tile roofs in most parts of the United States. 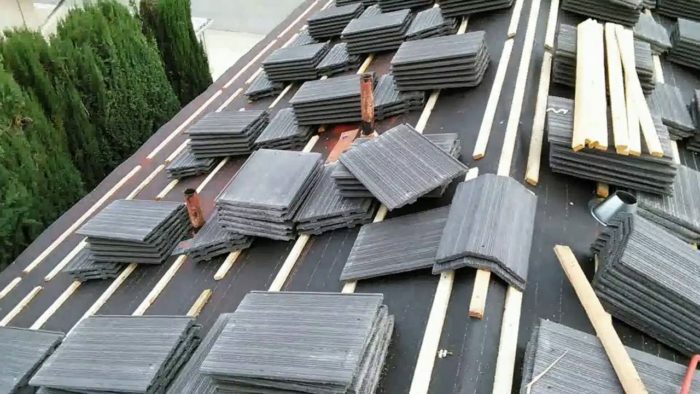 In case you are thinking about tile roofing in your home, you must understand that these roofing materials are heavy and can break under certain conditions. Therefore, you need to understand the pros and cons of tile roofs before you make a decision. Tile roofs can last you for more than 100 years especially when you install them in the right climate. Concrete and clay tile roofs are renowned to withstand fire, high winds, and even hail. After installing tile roofs, you may never install another form of roofing. Most manufacturers give clients a warranty offer of 50 years. Slate, concrete and clay tiles come in a broad range of styles and colors that match any home style from contemporary European to medieval. Some of the designs resemble wood shakes and traditional shingles. Tile roofs are also impervious to insect and rot destruction. Unlike wood roofs, tile roofs don’t decay. Tiling materials are also environmentally friendly. Tile roofs come from earth minerals and not chemicals. Therefore, you can recycle or ground up these materials when you remove them. These materials are also energy efficient. The heavy thermal mass of tiles helps in regulating indoor temperatures. 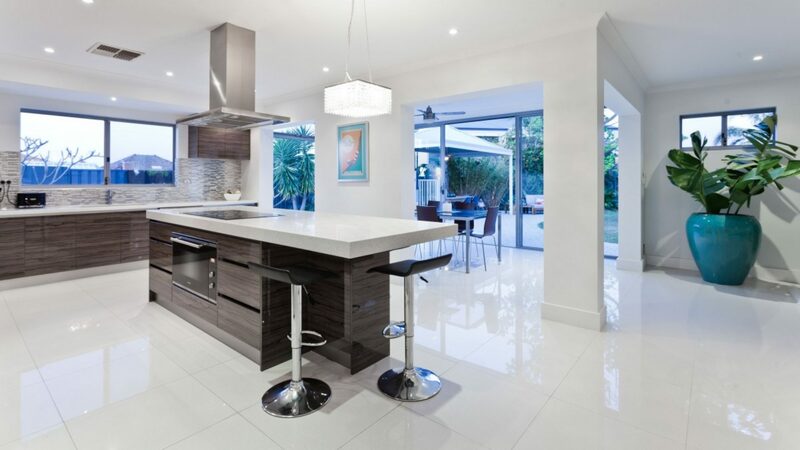 The last advantage of tile materials is that they have minimal maintenance requirements. You will rarely hear about leaks when dealing with tile roofs. Therefore, this roofing style will not call for maintenance and repair any time soon. The only thing that can force you to fix these tiles is if they break because of a high impact. Tile roofs also come with a few disadvantages to the consumer. The first challenge is the element of cost. For instance, clay tiles can cost you two to three times more than the asphalt roofing system. However, concrete tiles are more economical if you look at it regarding the long run. The roof can last you for more than 100 years and has minimal requirements. The next undoing of tile roofing is that they have a complicated installation process. You need a professional roofing contractor who has a lot of experience to handle this task. You will need to measure the tiles, lay them in a specific pattern, and make sure that moisture does not get through them. Therefore, this is not one of the DIY roof installation projects in the market. The beauty of it is that Roofing PBC will produce high-quality results at affordable rates. Therefore, the problematic installation process is a non-issue if you allow professionals to work on your roof. Most people will also tell you that tiles are heavyweight. The roof should be strong enough to handle this weight. The construction engineer will help you to determine if there is the need for any structural adjustments when installing this roof. The secret is getting the right contractor to handle this task. Even though tiles are durable, slate, concrete, and clay tiles can easily break if they suffer a substantial impact. Therefore, you should protect tile roofs from the falling of tree branches and other heavy objects. You need to avoid tile roof repairs because they can be quite expensive. Lastly, tiles are not idea for all roofing slopes. Tiling is only applicable for roofs that have a relatively sharp slope. You should not do tiling for any roof that has a pitch of less than 4:12. Roofing PBC is better placed to advice you on this subject.